These images are from my photo series Plant Life. The built structures, designed to variously process, store or cool nuclear elements and waste, are terminally damaged, were never completed, or are obsolete. The buildings, the vegetation and the earth around them are still contaminated. Reactor Nos.5 & 6. The two reactors were under construction at the time of the accident. Reactor #5 was almost completed. Construction cranes still remain in place. Water pumps are used to keep water out of the roofless structure so that the walls do not collapse and release radioactive dust into the atmosphere. 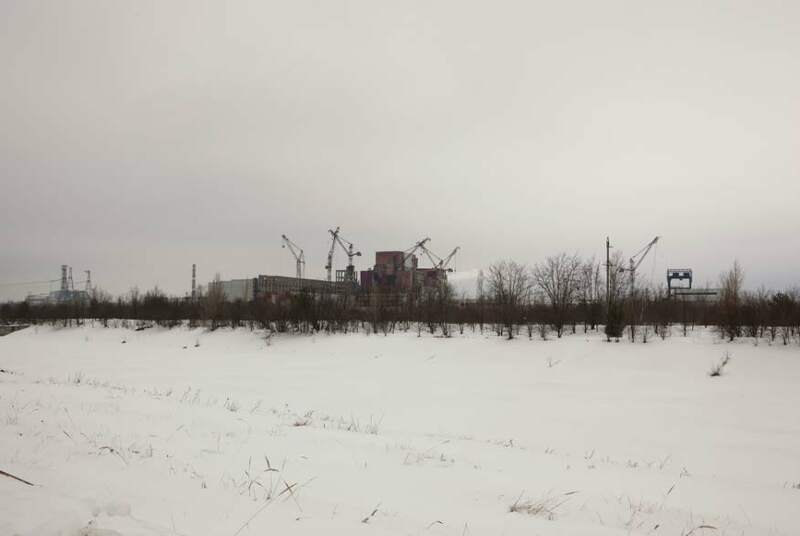 Unfinished cooling towers for Reactors #5 & #6 with iced over cooling pond in front. Some of the spent fuel assemblies from the defunct Reactors 1,2 and 3 are placed in these deep water cooling ponds. 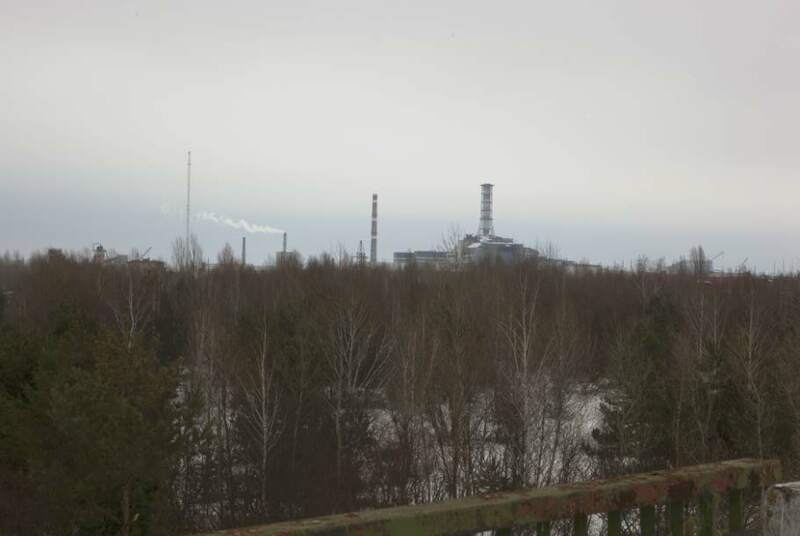 Reactor #4 seen from the Bridge outside of Pripyat. In the hours following the explosion residents had gone there to watch what was happening 4km away. The Liquid Radioactive Waste Treatment Plant. 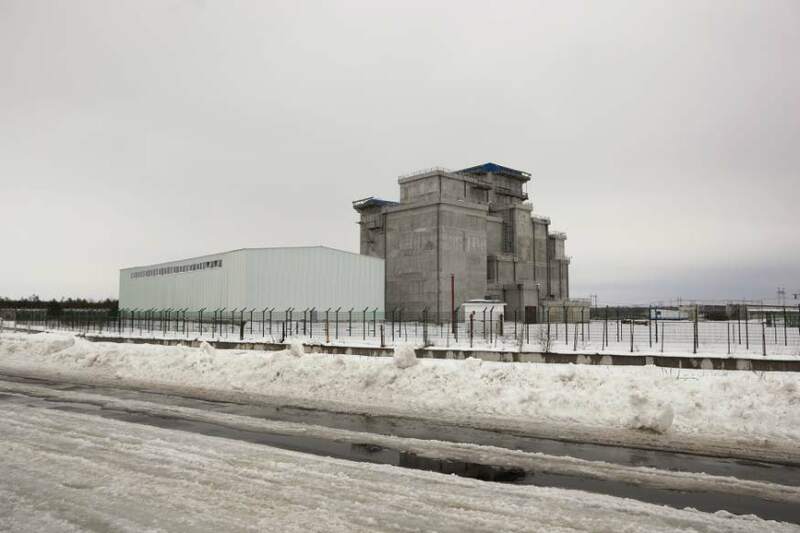 After a significant part of the storage structures had been built, technical deficiencies in the concept emerged, and the contract with a French construction firm was terminated in 2007. Reactor No.4. The ruined Reactor No. 4 still contains over 200 tons of radioactive fuel and a similar amount of contaminated waste. 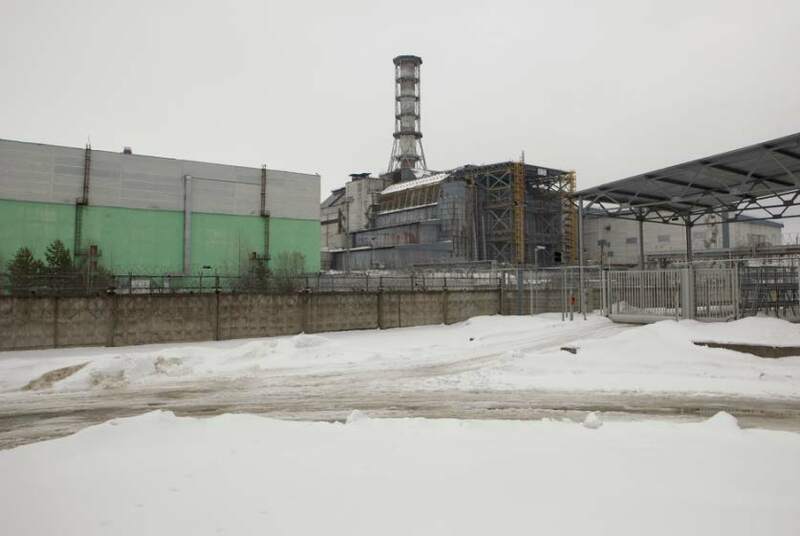 The steel and concrete shell built onto the Reactor in the seven months after the disaster to contain radiation has become increasingly unstable. 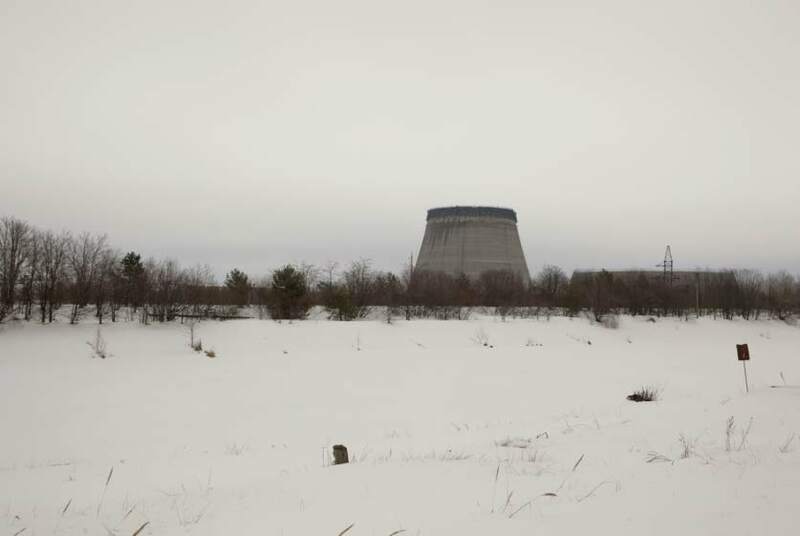 A billion-euro New Safe Confinement replacement is planned to be built on site, designed to enclose the existing sarcophagus for 100 years. Called "the largest movable structure to be built in the history of mankind", it will be a giant arch-shaped structure 190m wide and 200m long that slides over the existing structure. Once it is in place, the hope is that within the anticipated 100 year life of the new structure, ways will be found to dismantle the underlying structure and store it and the fuel and waste inside safely, somewhere.